Fermented foods have long been a staple in many traditional diets, but are now enjoying an increase in popularity. Why? Because eating fermented foods could be a wonderful way to naturally enhance the health of your digestive and immune systems. 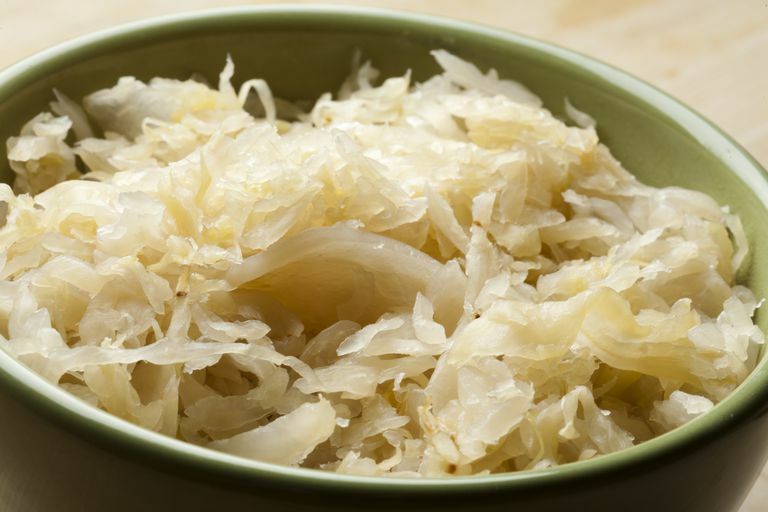 Fermented foods are filled with probiotics, and there is a growing awareness of the benefits of these "friendly" bacteria in maintaining optimal health. They may sound too exotic for you, but don't be put off. Here you will learn more about fermented foods and why they should become a regular part of your diet. Fermented foods are foods that have been prepared in a way so that the bacteria naturally found within them starts to ferment. Fermentation, also known as lacto-fermentation, is a chemical process in which bacteria and other micro-organisms break down starches and sugars within the foods, possibly making them easier to digest, and resulting in a product that is filled with helpful organisms and enzymes. This process of fermentation is a natural preservative, which means that fermented foods can last a long time. You are getting probiotics in a natural way. You are getting more strains than those isolated in a laboratory. You are getting a variety of strains, thus improving the likelihood that you are giving your system what it needs. Fermented foods are significantly more affordable than many probiotic formulations. If you have chronic digestive problems, including IBS, some people believe that fermented foods may be a great dietary option: they enhance the digestive process and have a positive effect on the gut flora, thus reducing problematic digestive symptoms. In addition, because the sugars in the fermented vegetables or milk products are already fermented, consuming these products may result in less gas and bloating. If you are following a low FODMAPs diet, you would want to check the Monash University app or website to learn about the FODMAP content of specific fermented foods. Lastly, it has been theorized that eating fermented foods may reduce the risk of small intestine bacterial overgrowth (SIBO), a condition that results in IBS symptoms. Many fermented foods are made by adding a starter culture of bacteria to a food. Thus, yogurt and kefir are made when a culture is added to milk, while kombucha is made when a culture is added to a sweetened tea. Fermented vegetables are created by shredding or cutting the vegetable into small pieces, which are then packed into an airtight container with some salt water. Even if you are lactose intolerant, you may be able to enjoy cultured dairy products as the bacteria within the products have already broken down the offending lactose. Note: Some fermented beverages contain trace amounts of alcohol. Read labels carefully so that you know what you are drinking. Here are some examples of popular vegetables for fermenting. Make your own fermented carrots, lacto-fermented green beans, sauerkraut (fermented cabbage), fermented radishes, and natoo (fermented soybeans). You can choose to make your own or purchase fermented foods from stores that specialize in natural foods. Make sure to purchase products that are raw and unpasteurized, as the pasteurization process kills the very bacteria that you are seeking! Typically, fermented foods are consumed with meals as a condiment. When adding fermented foods to your diet, start slowly to allow your body time to adjust. No need to rush - fermented foods can be stored in your refrigerator for six to eight months. Galland, L. & Barrie, S. "Intestinal Dysbiosis and the Causes of Disease" The Environmental Illness Resource Website. Mullins, G. & Swift, K. "The Inside Tract" Rodale 2011.